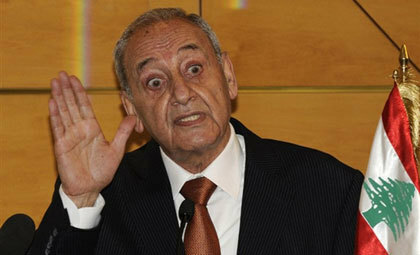 BEIRUT – Lebanese Parliament Speaker Nabih Berri on Saturday said the process of forming a government more than five months after a national election had returned “to zero”, after saying earlier this week there had been a “glimmer of hope”. In the five months since the parliamentary election, there has been no sign of the concessions sought by Prime Minister-designate Saad al-Hariri that would enable the formation of a unity government that can get to work on badly needed economic reforms. Politicians are warning that Lebanon faces an economic crisis. The main sticking point in negotiations has been seen as how to satisfy the competing demands of Maronite Christian President Michel Aoun and his Free Patriotic Movement (FPM) on the one hand, and their Maronite rival Samir Geagea and his Lebanese Forces party on the other. On Friday the Christian parties clashed over how power should be divided in the government, casting doubt over Hariri’s prediction on Thursday that an agreement would be reached soon.